Saturday night, I met a most unforgettable man named--well, I won't tell you his name just yet. He volunteers at a local cable television station and hosts at least one, possibly two pro-life programs. This man is known in the community: he is not shy about his beliefs. He attends city business meetings and keeps track of how politicians vote, taking them to task when they vote "the wrong way." When people see him coming, they either welcome him with open arms or look for a way of escape. What a guy! His name is Laird. And did I tell you he's about 80 years old? Do you work in a pregnancy resource center? Do you demonstrate peacefully outside abortion clinics or participate in life chains? Do you try to bring about change through the courts and legislation? Do you post billboards containing pictures of aborted babies? Do you pray tirelessly or donate funds to pro-life organizations you endorse? If so, tell us about it. What does your typical day look like when you are involved in these activities? We want to know so we can pray for you. We still have three copies of Over Coffee (We Shared Our Secrets) to give away so if you are having trouble posting a comment, simply email me your comment and address and I'll send you your copy of the book. I've made some adjustments to the comment section so it may be workable now. Give it a try! Tell us what you do to demonstrate your pro-life position and why you have chosen this particular route. Let us get to know you. Help broaden our understanding of one another so we can better support each other. Just to get the ball rolling, I'm offering free copies of my book, Over Coffee (We Shared Our Secrets), to the next five people who join the tribe or leave a comment on this blog. Pro-lifers can multiply the strength of our message if we join forces. In unity there is strength. Tell us about yourself. What brought you to the pro-life position? To get your free copy of Over Coffee (We Shared Our Secrets), leave your comment and then tell me in an email (julie@johnsonsforlife.com) where you'd like me to send your book. First, we are all created in our Father, the King's, image. Second, we represent the Creator who sanctifies human life and commands us not to kill. Third, in our various ways, we are all about our Father, the King's, business. Fourth, a house divided against itself cannot stand. Therefore, it is in our interest to join hands and work toward the goal of saving babies' lives and healing women's hearts--heal the broken-hearted, set the captives free. Some friends were discussing their various “calls” to ministry within the pro-life movement. The focus of the first group is to save the lives of babies in what may be the last opportunity to do so before the abortion. The focus of the second group is save the lives of babies by showing the ugliness of abortion and thereby turning the tide of public opinion against it. The third group focuses on saving the lives of babies by bringing about change through the political process with the ultimate goal of overturning Roe v. Wade. The fourth group’s focus is on saving the lives of babies by mercifully ministering to the perceived needs of their mothers. Four different methods—four different points of view—four different sets of supporters and detractors—one goal: to save lives! Because of strong emotional involvement, there will always be tension and the potential for misunderstanding among the four groups. All care very much about the issue and are convinced they are doing God’s work in His way. 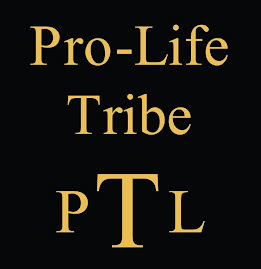 All four groups keep the sanctity of human life issue alive in a culture that is increasingly prone to choose death at all stages of life (for the preborn, the elderly, and those with disabilities). And, for that reason, all four groups are needed. As one deeply committed to the pregnancy care center movement, I confess to having had feelings of animosity and/or superiority toward pro-lifers who carried out their mission in a different way than I did. I repent of those feelings and ask other pro-lifers to join me in a committed effort to embrace our differences and encourage one another as we promote the sanctity of human life. Whether God has led you to serve in the mercy, political, or rescue realm, the point is He is our Chief and He is working all things together for good. May we join forces and circle our wagons in defense of women and their babies.